HP Universal Printing PCL 5 is a Printer device. The Windows version of this driver was developed by HP. The hardware id of this driver is WSDPRINT/Hewlett-PackardHP_La677C. 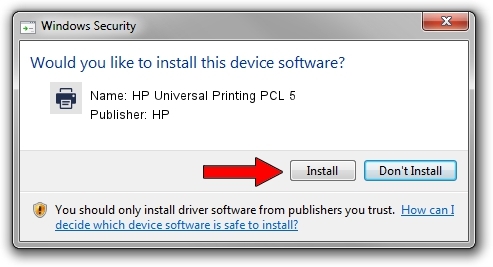 You can download from the link below the driver installer file for the HP HP Universal Printing PCL 5 driver. The archive contains version 61.170.01.18326 dated 2014-06-17 of the driver. Start the driver installer file from a user account with the highest privileges (rights). If your UAC (User Access Control) is enabled please confirm the installation of the driver and run the setup with administrative rights. Go through the driver setup wizard, which will guide you; it should be quite easy to follow. The driver setup wizard will analyze your PC and will install the right driver. When the operation finishes shutdown and restart your PC in order to use the updated driver. It is as simple as that to install a Windows driver! This driver received an average rating of 3 stars out of 88319 votes. The advantage of using DriverMax is that it will install the driver for you in just a few seconds and it will keep each driver up to date. How easy can you install a driver with DriverMax? Let's see! 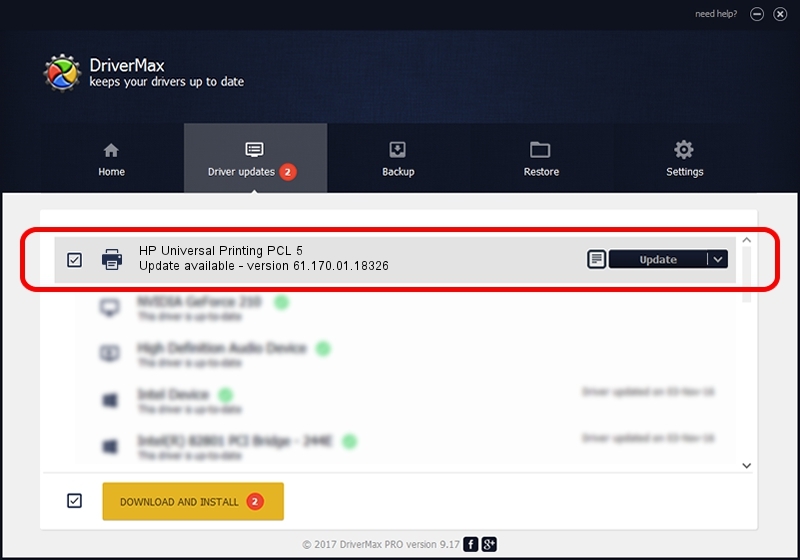 Start DriverMax and press on the yellow button named ~SCAN FOR DRIVER UPDATES NOW~. Wait for DriverMax to analyze each driver on your computer. Take a look at the list of driver updates. Search the list until you find the HP HP Universal Printing PCL 5 driver. Click on Update.